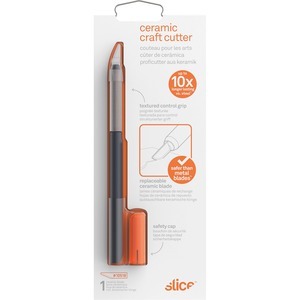 Weighted for balance and stability, this craft knife allows you to make accurate, delicate cuts with excellent precision. The extremely hard, ceramic blade provides a lasting sharp edge that maintains its sharpness up to 10 times longer than an equivalent metal blade for consistently smooth cuts again and again. Textured, anti-slip grip ensures you always keep a firm grip for accurate cuts. Ambidextrous design provides a comfortable grip for both left-handed and right-handed users. Easy, no-tool blade change allows you to simply replace dull blades without requiring any extra tools. No-roll design prevents rolling on smooth, slanted surfaces for enhanced safety. 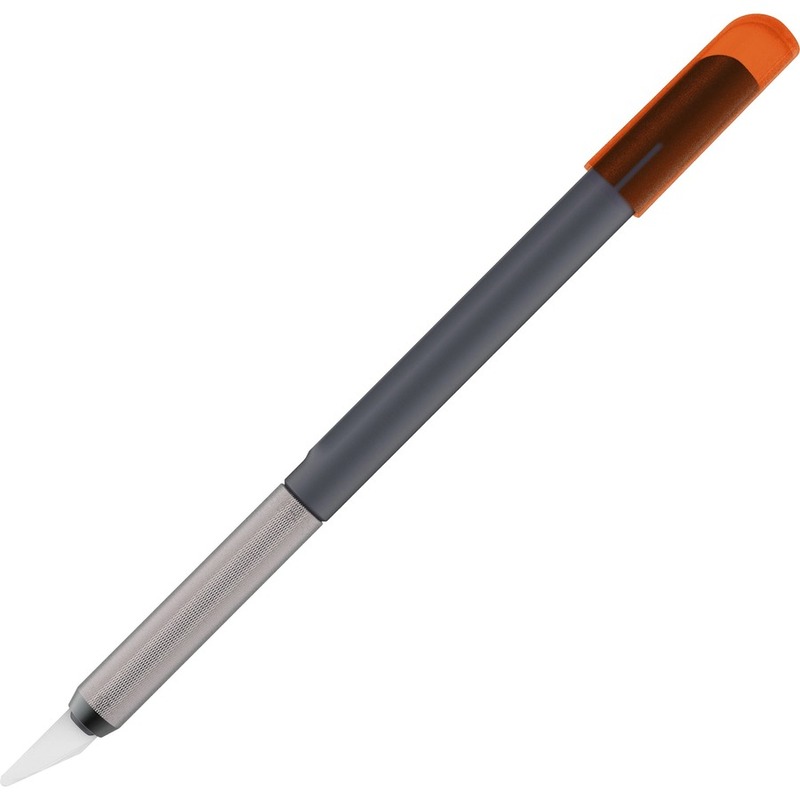 Craft knife with a rounded blade is perfect for precision cutting, scraping, and handling.